1872 – Alcorn A&M College (now known as Alcorn State University was founded in Mississippi. Alcorn is a public, historically black, comprehensive, land-grant institution located northwest of Lorman, Mississippi, approximately 80 miles southwest of Jackson, Mississippi. 1872 Civil Rights activist William Monroe Trotter is born in Boston, Massachusetts. 1883 – Pianist and composer Eubie Blake born in Baltimore, Maryland. 1945 – Irwin Molison appointed judge of the US Customs Court. 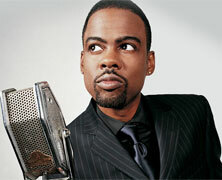 1967 – Comedian, author, recording artist, actor, and talk show host Chris Rock was born in South Carolina. He will become a critically acclaimed comedian, hosting his self titled show on HBO. He will also bring to the forefront a boycott of the flag of his birthplace. He will star in and make a few movies of his own. 1974 – The country of Grenada gains independence from the United Kingdom.